Meda Paganda lives in the Democratic Republic of the Congo with her husband and seven children. They recently received goats from Samaritan’s Purse. After the Second Congo War ended in 2003, fighting continued between various groups. Because of the violence surrounding the rebellion, my husband, our children, and I had to flee our home. After that, we lived off of subsistence farming and raising chickens. We tried to rebuild our lives, but another war came in 2013. We were stripped of everything, all our possessions, and our lives once again become unbearably difficult. We even lost our little chickens and goats! Meda’s family gathers together with their three baby goats. The goats continue to multiply, creating an even bigger blessing. But God never abandons His children and always listens to their cries. Samaritan’s Purse appeared in the midst of our need with a goat and agriculture project. Raising goats was the perfect livelihood for us because of the strain of our age—I’m 99 years old. And Samaritan’s Purse chose good breeds of goats that are strong and fruitful. I now have six goats, three adult females and three kids, and both females are pregnant! The goats provide us with milk to drink and sell. I truly feel God’s love for me through the intervention of Samaritan’s Purse because I’m certain I’ll pass the rest of my life here on Earth happy before going to heaven to join my God. He has blessed me, and it’s such a wonderful surprise that I didn’t expect. I will leave confident that my unemployed children have a stable source of provision for their lives. 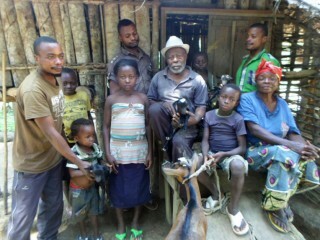 The goats will continue giving back more animals to raise. I don’t even have the words to thank God enough for choosing to act on my behalf through Samaritan’s Purse. God bless you! 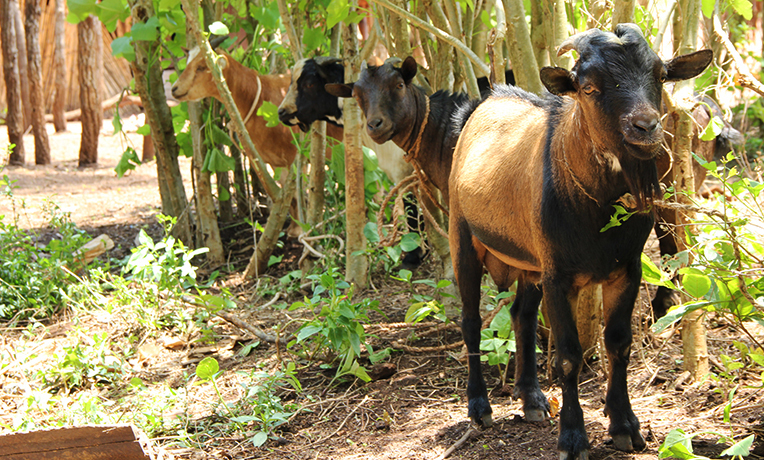 Goats & Dairy Animals Each nanny goat can produce a liter of fresh milk every day. For $70, you can provide a goat or share in the cost of a dairy cow so that we can minister to an impoverished family in the Name of Jesus.